This was, by a mile, the best birthday party H has ever had. 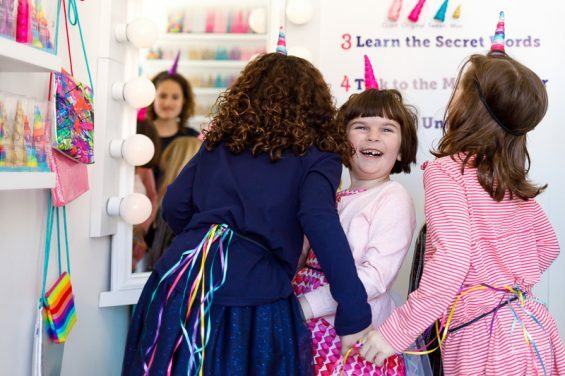 Four of her friends and their moms met us in Brooklyn at Brooklyn Owl, a unicorn horn store, for a day out in NYC. The moms went for coffee, and Adam and I stayed to take photos of the girls picking out their own special unicorn horns, making unicorn crafts, eating unicorn cupcakes, and solving clues for the store’s magic mirror, which spoke to them and transformed them from little girls into magical unicorns. We could not have packed more unicorns in if we tried, it was fabulous.